Death metal played to its maximum expression. Undoubtedly Unleashed is an iconic band within the genre of Death metal, with a career of over 26 years, eleven previous recordings and one of the most stable line-up within the genre, these warriors of the northern lands come this year with their highly anticipated album "Dawn of the Nine" this is their twelfth full-length album, here you will find ten tracks of the most pure and unrelenting death metal played to its maximum expression, you will find ten tracks loaded with Nordic mythology, while "Dawn of the Nine" is a solid and powerful album with the sound of the old school death metal, without hassle, nor commitments, however it is difficult to avoid the question by itself, will this be an album just as relevant, or even more than the previous "Odalheim" released three years ago? Or maybe they will fall down in the quest to remain relevant in this scene so saturated? 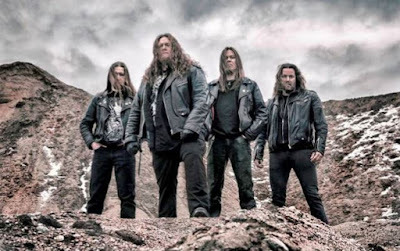 But I think that question should be answered by each fan of them, while for me, they sound sophisticated and fearless but with a brutal approach worthy of a pioneer of the viking death metal genre. "Dawn of the Nine" picks up where "Odalheim" left off, the opener track "A New Day Will Rise" get you with a tremendous guitar riff, that predisposes you to anticipate the assault coming to you, Hedlund exposes his guttural vocals, right after the first song quickly and mercilessly they hook you up to the next track, "They Came to Die" melody is characterized at a rapid pace in the background some devastating drums, "Defenders of Midgar" is a track of a slow pace , but powerful and gives us an exceptional guitar solo, then comes "Where is Your God Now?" this one is the single from this album and begins with a chilling scream accompanied by relentless drums the guitar solo is well built and sounds terrific, “The Bolt Thrower" is a track that starts with one of the best guitar riff in the album, you can feel the hell that it is carried in every note and is completed by an excellent guitar solo, the punitive bass guitar that opens in "Land of the Thousand Lakes" excels in this track making it difficult to forget, galloping guitars are magnificent and Hedlund gives us his powerful, compelling and guttural vocals on the entire album. The other tracks that complement this production are "Let the Hammer Fly" "Where Churches Once Burned" "Dawn of the Nine" and "Welcome the Son of Thor!" each and every one with an outstanding composition taking its best elements of yesteryear to mix them in a clear, powerful production full of rage that overwhelms you, this is a must have for every Unleashed fan. 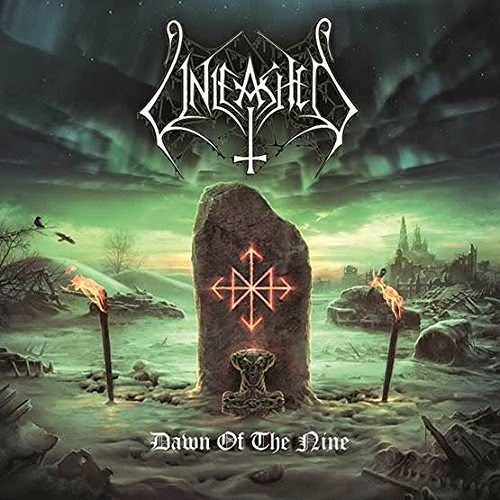 I want to conclude my review by faithfully believing that even in these days so difficult to discern true or false there is hope in this chaos and bands like Unleashed, bringing albums such as "Dawn of the Nine" prove me that I am not mistaken in believing in the true death metal.